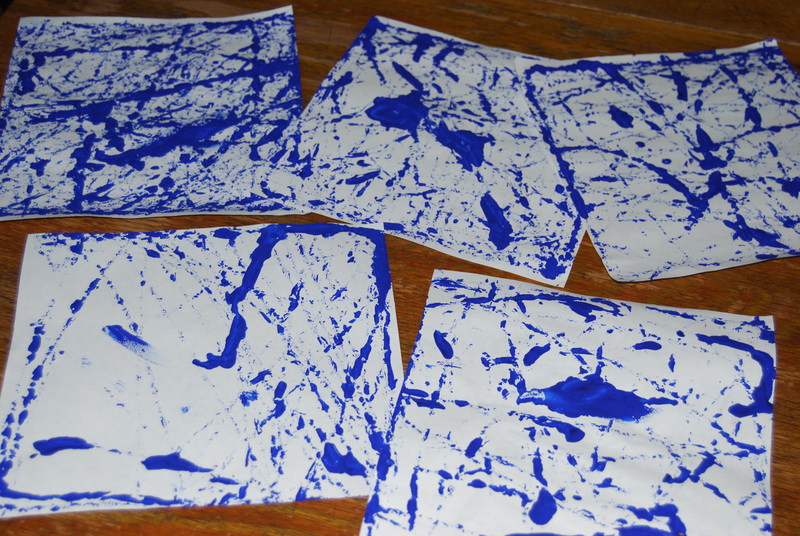 BLUE CLOTHES – These are quite popular around here! It would be hard to find a day when we aren’t wearing blue clothes. BLUE FOODS – Not many foods are blue by nature! Blueberries – eat them plain, make jam or sprinkle some on fruit pizza. Blue Corn – and therefore blue corn tortilla chips; if you can buy blue corn meal, make some blue corn bread! Blue Cheese – make some dip for veggies or serve on hamburgers – YUM! BLUE CREATURES! – It was fun to consider the number of these God has created; searching for pictures was our treasure hunt for this week. Here are just a few. Blueberries for Sal by Robert McCloskey The best blue book of all! I remember my mother reading it to me. Sky Color by Peter H. Reynolds What would you do if you had no blue? Ziggy’s Blue Ribbon Day by Claudia Mills An encouraging story that recognizes everyone is gifted in different ways. In a Blue Room by Jim Averbeck What could turn everything in a room blue so a little girl can go to sleep? Big Blue Whale by Nicola Davies Non-fiction about the life of a blue whale that flows like a story. 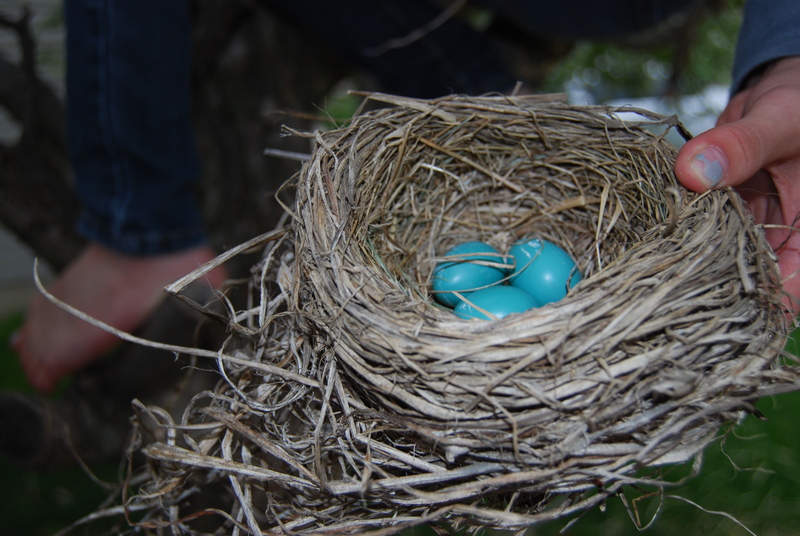 Two Blue Jays by Anne Rockwell Follow two blue jays through the process of raising a family. The Artist Who Painted a Blue Horse by Eric Carle Several of Carle’s multi-colored animals lead up to a brief explanation of the artist who inspired Carle’s colorful creatures. 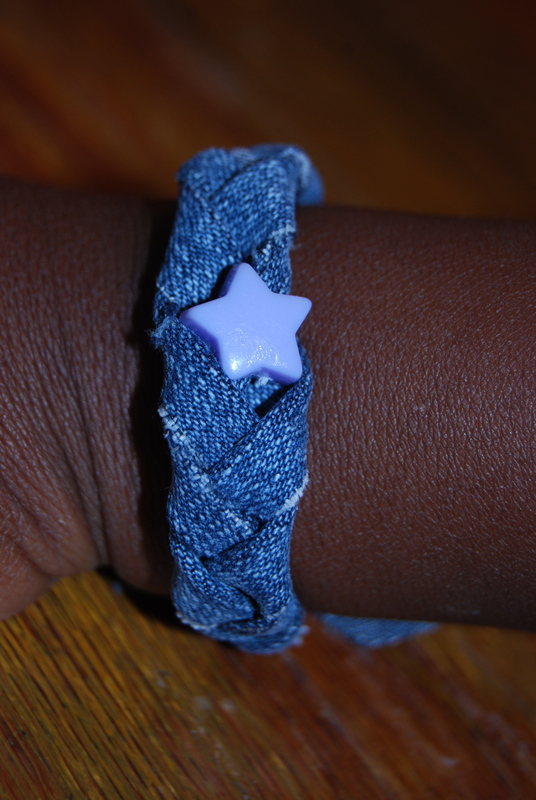 BLUE PROJECT – braided denim bracelets from old blue jeans. Fairly easy but a little too complicated for the little people. They had fun watching and wearing. If I can figure out a neater way to finish them I might do a “how to” post someday. Cut paper to fit in the bottom of the pan. Cut lots of pieces before you start; watching the marble roll around and create designs is kind of addicting! Store any unused papers in the pan for next time. 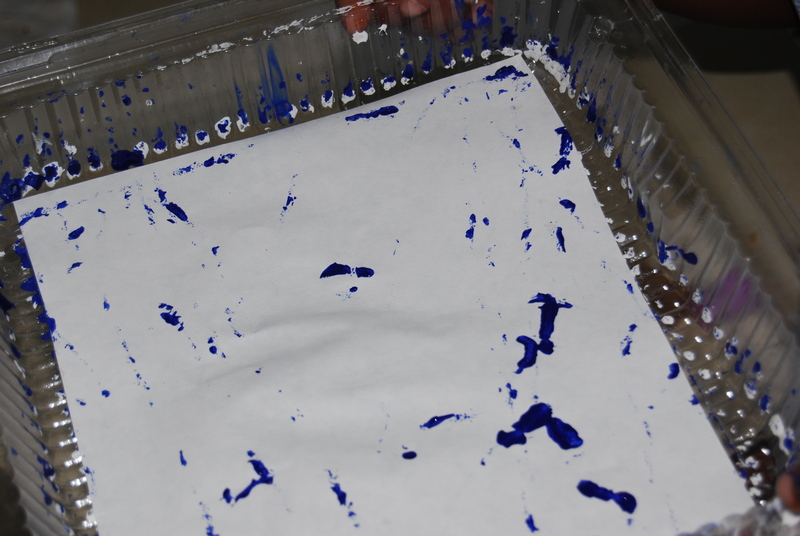 Drop a marble into paint and then place the marble on the paper that is in the bottom of the pan. 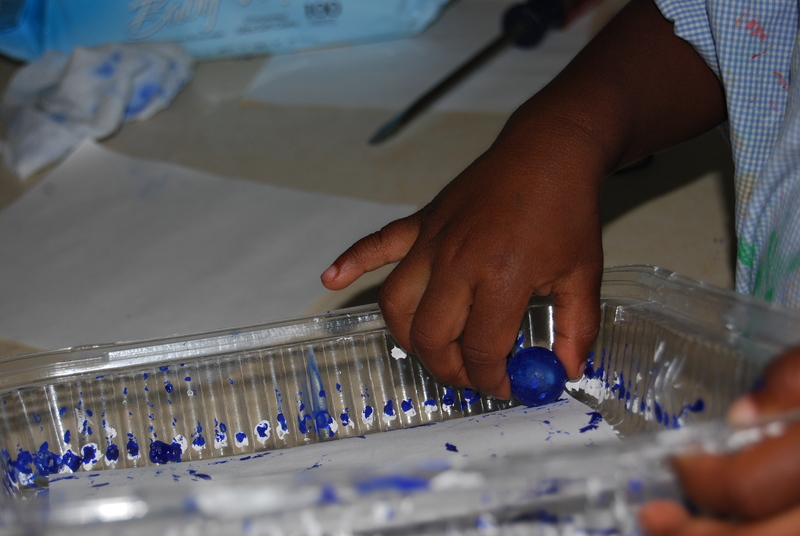 Use a spoon to transport the marble if you don’t want too much paint on fingers. Tip the pan gently back and forth to allow the marble to roll. 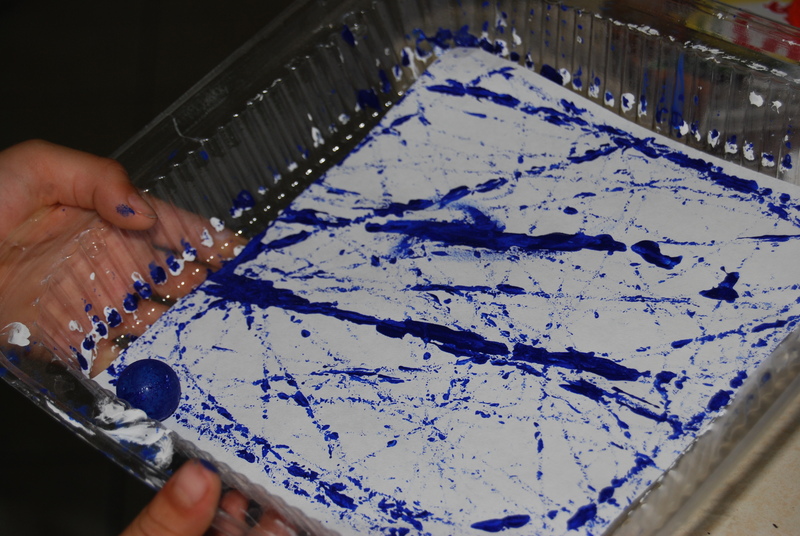 The marble will leave paint “tracks” as it rolls. Dip the marble into more paint as necessary until you are happy with your piece. Allow to dry and display. **I find that one of the best things to keep on hand during painting projects is a package of wet wipes! They clean up drips and smears quickly before they dry and can remove a great portion of wet paint off little hands before they hit the bathroom sink . . . or toilet seat . . . or walls! 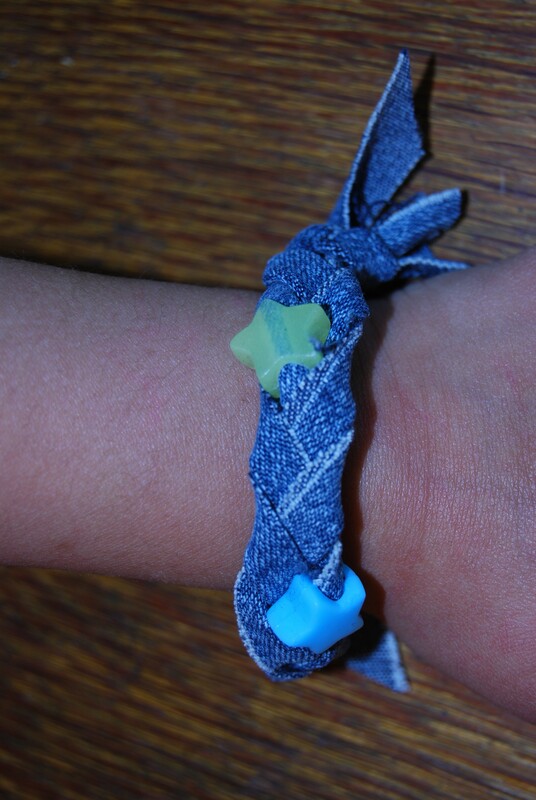 HOMEMADE BUBBLE SOLUTION – this gets in the blue post because of the main ingredient! I don’t like the smell, but it really did not work well when I tried another soap. If you have any suggestions or another recipe, please send a comment. Gently mix together in a large container. Try not to stir up bubbles–good luck! Allow to rest overnight to strengthen the solution. **I’ve tried both and am not sure that one is better than another, so use what you have on hand. Which state is the Bluegrass State? If you can figure that out you’ll know where we live! Why is bluegrass called that when it’s still green? Categories: Homeschool, Preschool, Projects, Recipes | Permalink.